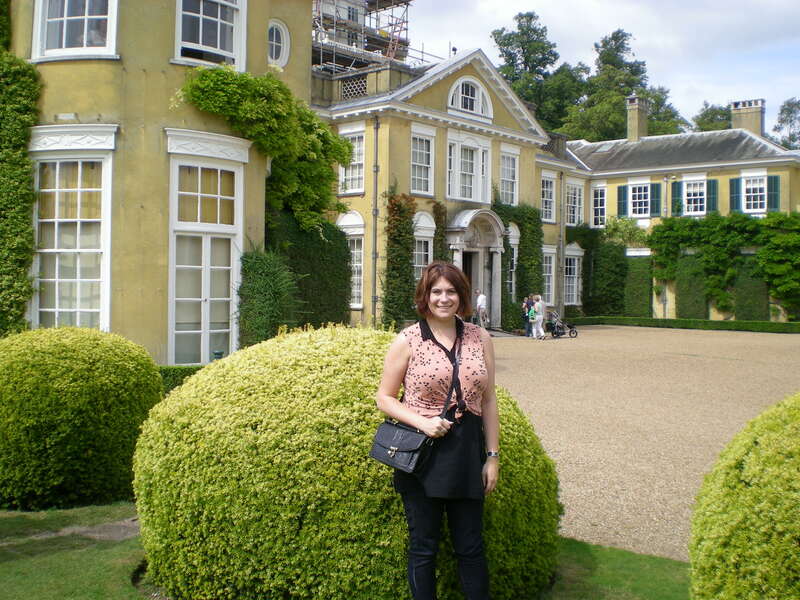 On Saturday I made a trip with my family to a stately home in Surrey. 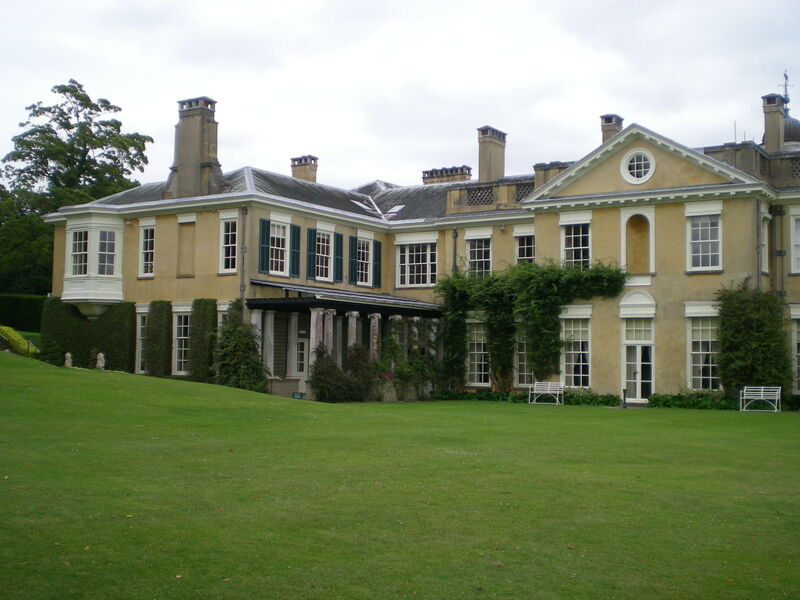 Polesden Lacey was purchased in 1906 by Mrs Greville and her husband and was transformed into an Edwardian country home that hosted many a party and royal guest. She was second only to the Queen in riches at the time. 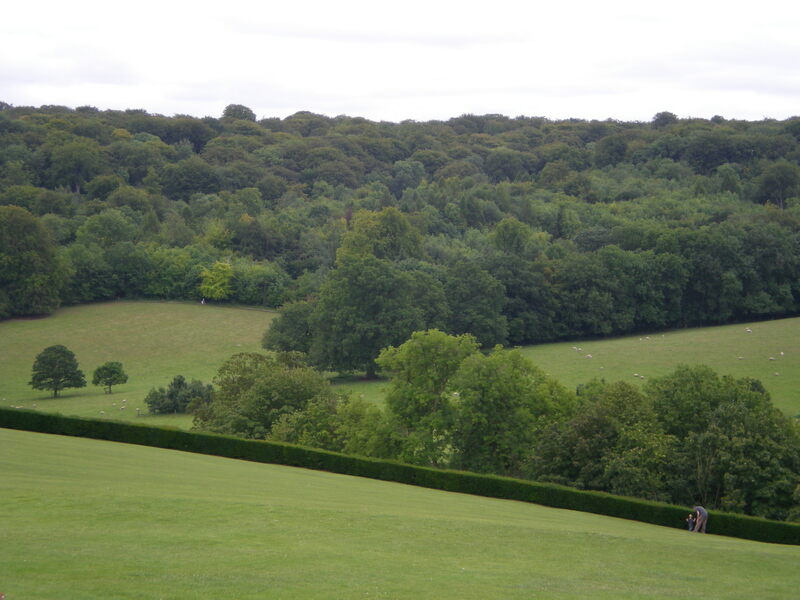 The house is set in acres of countryside and has stunning views over Surrey. Check out the website for more of the history. 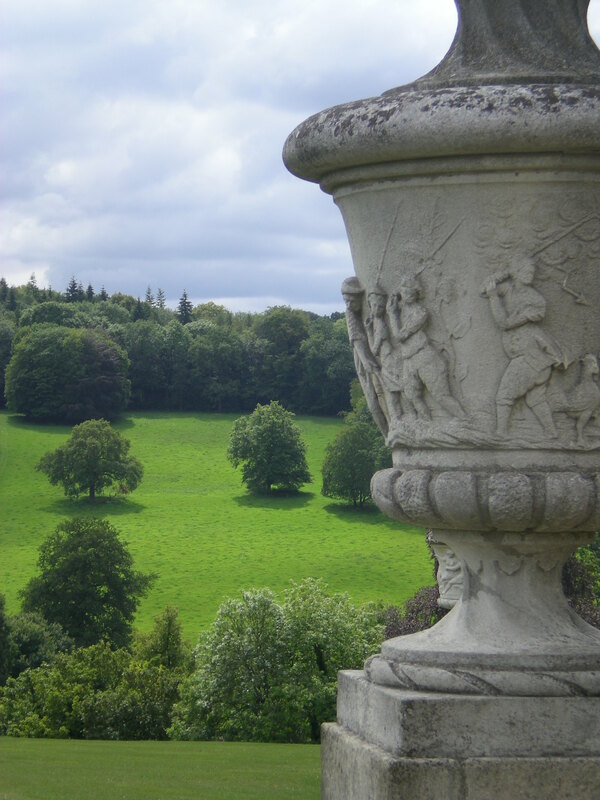 On of the best parts of the estate is during a tour of the house they give you a chance to actually try things out. Most houses are look but never touch – here you can play music on an original gramophone, play billiards on a full size table, play air billiards, sit down and pretend you’re a lady or have a go on the piano. 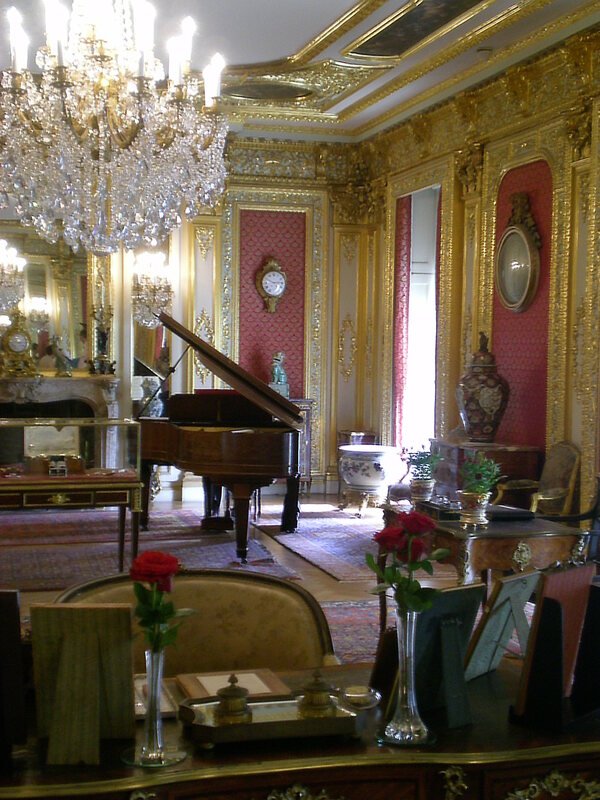 The music room is the most stunning room in the house decorated in lavish gold with a sparkling chandelier in the centre of the room. 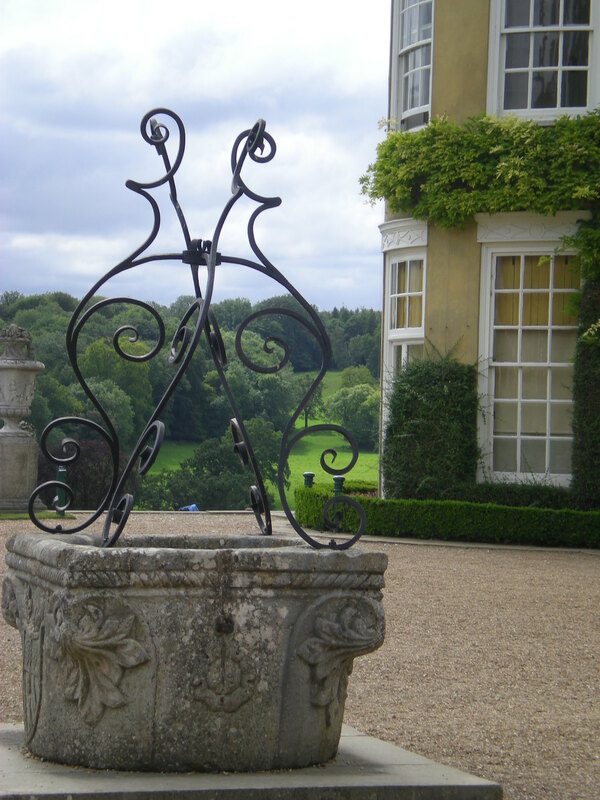 The gardens are a mixture of formal displays including roses and lavender and a border of gorgeous coloured flowers surrounded by parkland that stretches as far as the eye can see dotted with trees that are hundreds of years old. Ah bless you thanks! You should it’s just outside Cobham so not too far for you guys! Ah cool I didn’t know you worked at one, you lucky thing! What a stunning building and so rare to be allowed to actually touch things. I wish I was allowed out on some of our sites more often… I’d be in heaven. I just love the history of these places and imagining what it’d be like to actually live there! Omg, that looks just glorious. I would probably pretend I live there and carry on for a minute, it looks ridiculously charming! I know me too! It was lovely! What a lovely place to visit. I need a trip to somewhere (that doesn’t involve moving or work). I hope you get such a trip soon! BEAUTIMOUS!!!!!! Wish I was there! 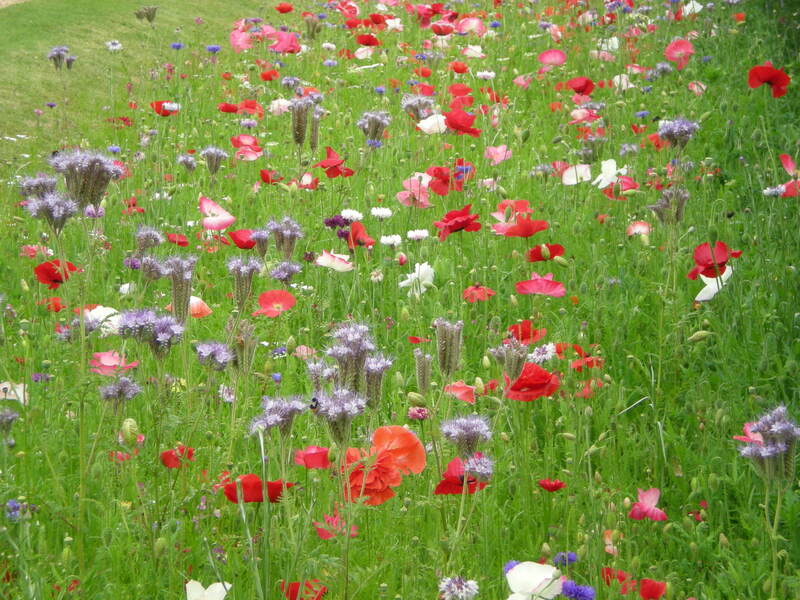 I love the wild flowers. Their color just pops! Breathtaking and so cool that you actually got to interact! The gardens just look spectacular! Thanks Bonnie, I’m glad you enjoyed it! It’s so pretty. It looks like something out of a TV show. I wonder if anyone has ever broken anything before. I hope you had fun, it looks like you did. They had a lot of people working there, they would swoop in before you did I’m sure! I love that landscape/potter shot. So gorgeous! Haha yes they do exsist I promise! Could you imagine living in a place that large? What a concept- you can touch? What an experience! I was so frustrated that we couldn’t touch anything in the Hearst Castle (located in central California) and even some rooms we had to look at from afar. I mean, come on, it was so hot and the pool was huge and filled with water waiting for us to swim! Why not? People would pay to do that! DOWN 7LBS IN 1 WEEK, VIX! If you know of anyone desiring weight loss quickly/safely- send them my way! 7lbs! Woot! I guess they worry about damage to things, maybe we need to open somewhere that looks old but that isn’t so you can touch everything! Wow, just gorgeous. 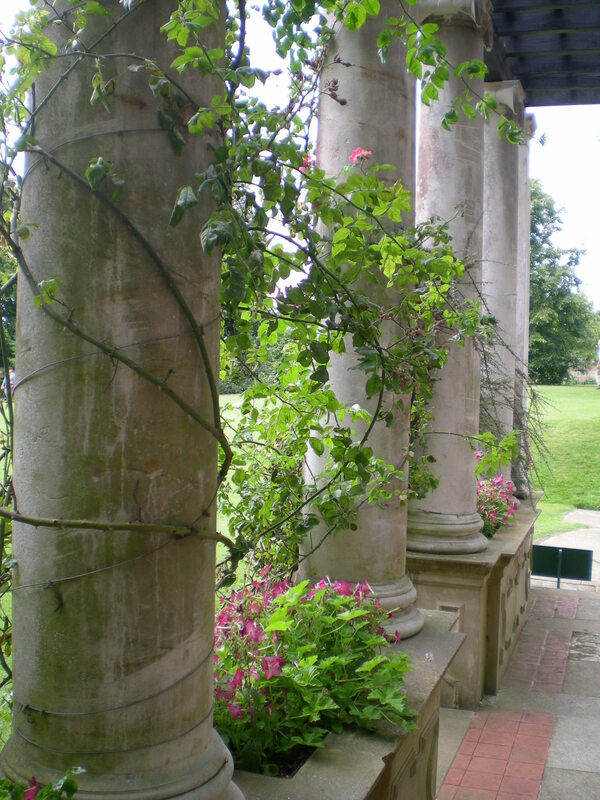 I especially love the pic of the columns covered with vines. It really caught my eye!